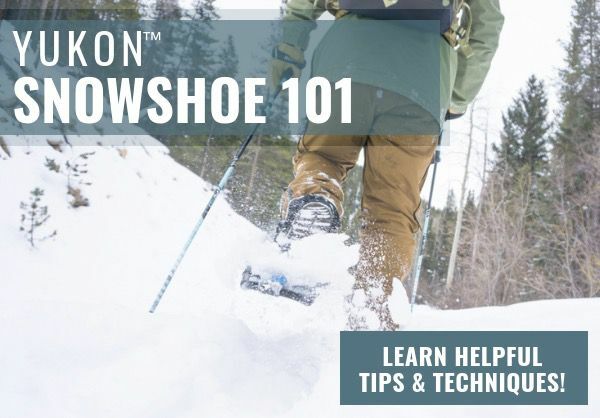 Snowshoes let you blaze a trail of your own! 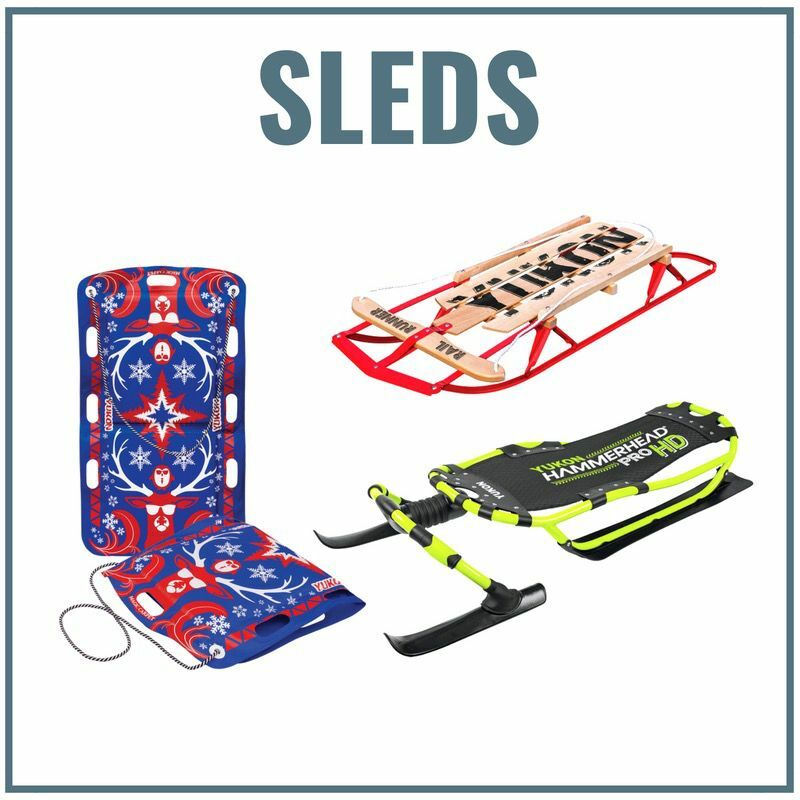 Keep these lightweight, packable, and inflatable emergency snowshoes on hand! 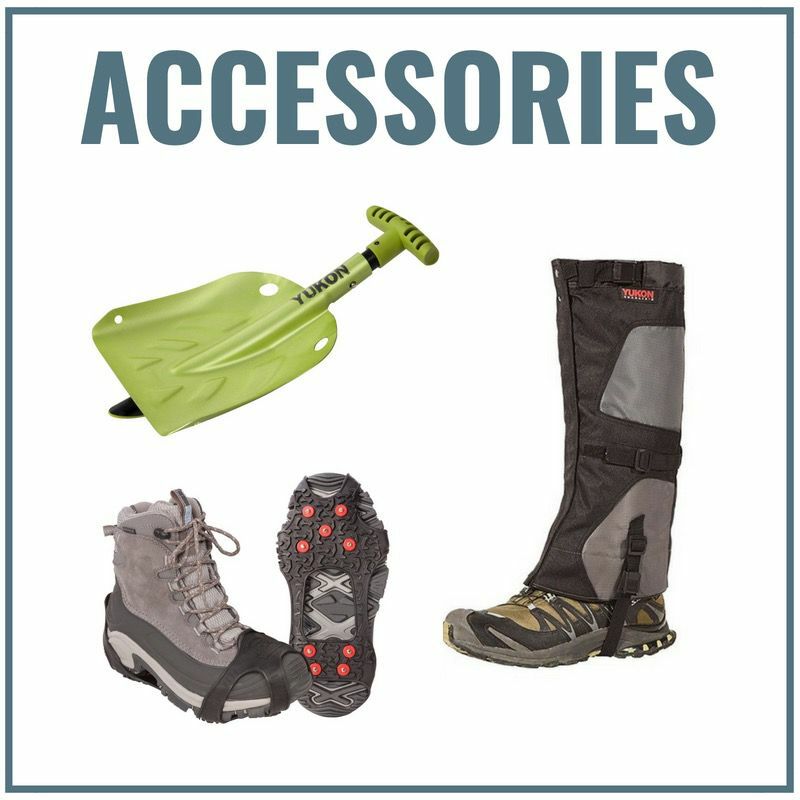 Whether hiking the backcountry or walking to work, we have the right winter traction for you. Yukon Ambassadors Know How to #ExperienceWinter! Ashley, a native Washingtonian, moved to Reno, Nevada about a year ago and quickly fell in love with the Sierra Nevada Mountains and all they have to offer! She is an avid hiker and this summer she challenged herself to take her hobby to the next level and successfully hiked to the summit of Mt. Whitney, the highest mountain in the contiguous United States. She is grateful to be a part of a wonderful community of hikers and for the friendships, she has made on the trails. 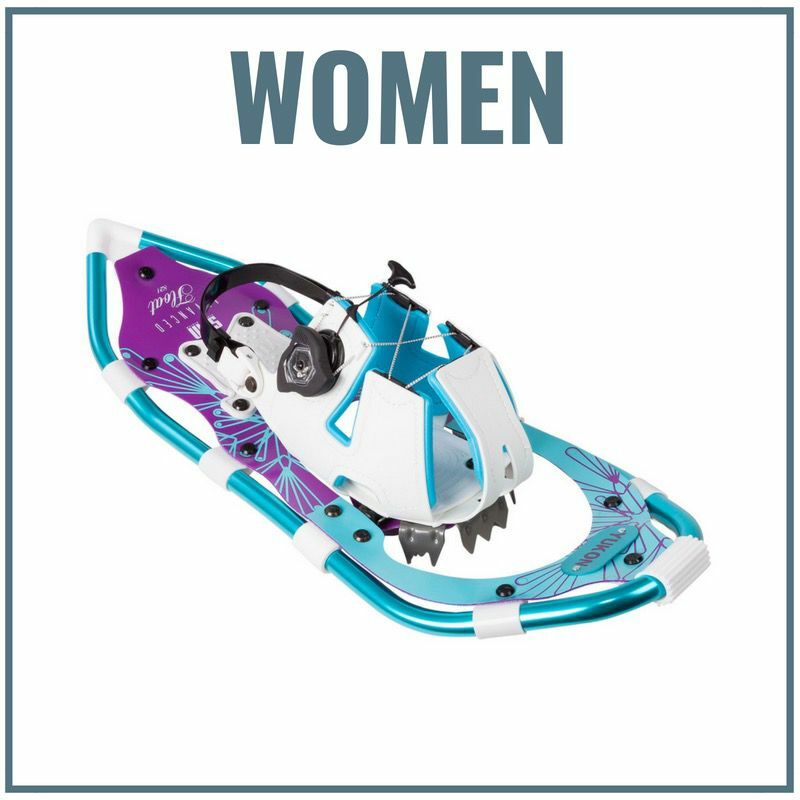 Now that winter is just around the corner she is excited to join the Yukon Sports Family and embrace a new hobby of snowshoeing! I'm a photographer and filmmaker based out of Denver, Colorado. My passion for the outdoors and environmental conservation is a huge source of inspiration and guides my image making. My roots in adventure and the outdoors began in the rolling mountains of North Carolina, where I graduated from Appalachian State University. My undergraduate studies gave me an opportunity to not only learn the trade of photography, but also the social, cultural, and environmental issues that would inform my visual projects. I constantly strive to tell the stories and share the experiences of how people and organizations interact with the world around them. I hope by capturing the relationship between humans and their landscapes, I can portray the importance of protecting our natural world. Still in awe of the Colorado landscape, I’m currently building a portfolio focused on winter sports using our local mountains, valleys, and meadows as backdrop and inspiration. I love the challenge of creating content in often remote and harsh conditions. It forces you to become competent in the outdoors and sharpen your own skills, not only as a photographer and filmmaker but also as an active participant in the sport or activity you are capturing. By default, you must be proficient and confident in the outdoors, a never-ending goal of mine. 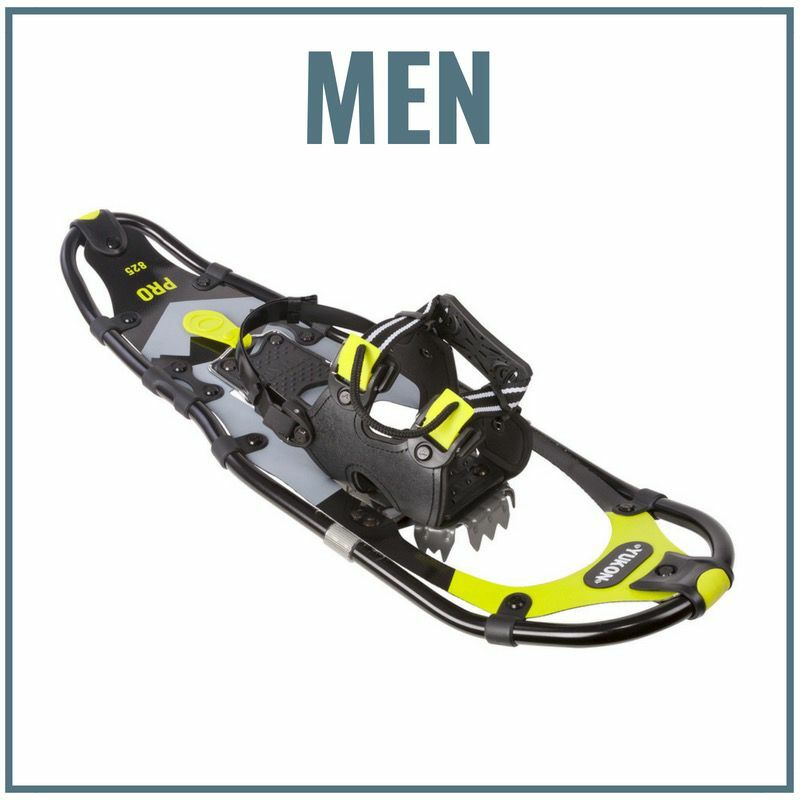 This winter, I’m so stoked to take Yukon snowshoes on all my adventures. Join me as I travel to photograph and film in some of the most remote corners of Colorado! Hey there! Name is Nick, but my trail name friends call me Lumberjack Nick! I’m born and raised out here in beautiful sunny Southern California. I work part time as a firefighter and emt in the local mountain communities, and am pursuing my education in Fire Science as well as Environmental Science. Most people don’t think of snow or mountains or even wilderness when they hear California, but that’s just not the case. Our area has one of the most biodiverse and extensive geographical layouts anywhere on earth, and I’m blessed to call it my backyard. Even John Muir climbed our mountains, considering them comparable, if not tougher than the Sierra. Ranging from the beach to the desert to snowy mountain peaks, I spend my time exploring all that most “dudes” don’t realize exists out here. I prefer exploring the lesser known areas around me, and experience the “West” as it once was away from cultivation. The seasons here a generally warmer, however there is still plenty of winter (my favorite) to enjoy. Whether I’m snow shoeing in Yosemite or up local 11,500’ summit San Gorgonio in winter, hiking, fishing and camping in the sunshine of spring and fall, hammocking under an oak tree or surfing in summer, or you name it, my time spent out doors is passionate for me. I take my time absorbing and photographing the places I visit to share what I learn with people who have never been before. It’s unfortunate that all this beauty lies relatively unknown just beyond eyesight of most SoCal city residents, but hopefully with my help they can better experience and care for these natural wonders. I hope that everyone is inspired to get outdoors, especially in the beautiful months of winter when the world is freshly powdered and air is crisp. Make sure to have a “totally rad time dudes!” Stay safe, have fun, and explore on! My name is Jim Rago and I love the outdoors. I use any free time I have to find my next adventure, be it snowboarding, snowshoeing, hiking, camping, kayaking or fishing I love being outside and surrounded by nature. Living in Western New York offers a wide variety of outdoor activities for every season and in the winter months includes endless miles of snowshoeing, cross-country skiing and downhill skiing and snowboarding. Being only a few hours drive from the Adirondack Mountains also give me ample opportunity to explore the High Peaks wilderness on the weekends. Being an outdoor enthusiast led me to pick up photography as a hobby, and there’s nothing better than a day spent out in the backcountry with your camera surrounded by nature. Running is my passion, so when we moved to North Dakota it was clear my outdoor running season would be cut short due to the brutal winters. Being an active person and having to stay inside? Not good. So a few years back I put running snowshoes on my Christmas list and it opened up a whole new winter world for me! Instant addiction! I am also a new ultra runner and had hoped to tackle another last year. However my goals were thwarted when I broke my foot during a half marathon. So I have been rehabbing as of late, running again finally, and easing back into my favorite activities. Itching for the snow to drop and snowshoe running to begin. I love my Yukon running snowshoes and really hope to take them on a racing adventure in the future. I am also a PT by trade so I love to help others with prehab and rehab so they can enjoy their favorite hobbies as well! Looking forward to all the possibilities the new year will bring! Kaitlyn endlessly seeks dirt trails, powder bowls, crimpy boulders, alpine sunrises, and the occasional nap. Armed with her snowshoes and a 4-legged fur ball Aussie named Ember, she recently moved to Boise, Idaho from Colorado. In addition to exploring the Sawtooths and Hyde Park coffee shops, Kaitlyn works during the week in orthopeadic research. When she’s not deciding what trip to make next, she’s climbing, watching ski films, or failing miserably at an “experimental” chili recipe. A member of her local Citizens’ Climate Lobby group, Kaitlyn advocates for a cleaner world and using less plastic (Recycle! Recycle! Recycle!). Her goal this winter is to encourage the community to get outside and soak up some vitamin D! While the darkness and coldness of these months carries a stigma, she finds the snow to be peaceful, calming, and recuperating. Her trusty pair of snowshoes grants her the opportunity to stay active and in shape during this season. She never imagined the mountains she would climb! And she’s here to let you know that you can, too. See you on the trail! My name is Kait VanHoff, I'm 25 years old and currently living in the beautiful mountains of Salt Lake City, UT. I can always be found outdoors, staying active and of course adventuring. I believe in living in the moment and enjoying every second of this beautiful life we have. I live to create, explore, travel, and love. John Steinbeck famously wrote, “I am in love with Montana,” and I am too. I am in love with the landscape, the wilderness, and the solitude. My outdoor recreation is pretty simple - primitive and quiet. I’m a hiker, a snowshoer, a canoer. I recently took up fly-fishing. It’s easy to get outside here, and that’s where you can find me year-round. Several times a year I’m lucky enough to take trips to Yellowstone and Glacier National Park. Next to getting outside, photographing the outdoors is my favorite hobby. I use my Yukon Charlies Women's 821 Advanced Series to get out on trails as soon as the snow is deep enough! At the age of 60, I decided to pack in my corporate job, retire and move north from the city of Toronto, Ontario Canada. My wife and I moved to the beautiful town of Wasaga Beach, home of the World's Longest Freshwater Beach. The process of de-stressing didn't take very long, with cycling and hiking in the summer and snowboarding and snowshoeing in the winter. I normally hike about 30 kilometers per week and work out with free weights on the days that I'm not out on the trails. Now at the age of 62, I'm in great shape and really enjoy my time exploring the wilderness. Last winter I was out hiking in a huge snowstorm along the shores of Georgian Bay (one of my favorite things to do) and I decided to take a quick video to send to my wife. I imagined myself as some Arctic explorer in the middle of nowhere, with only his hiking gear and his wit to survive. Turns out that my wife thought it was pretty funny, and my short videos became an almost daily occurrence. I shared a few of them with my family, and my online persona “Hiking with Andrew” was born. I like to inject some improv humor into my 60 second or fewer videos, along with some factual and sometimes not so factual information about where I am trekking. My goal is to inspire people regardless of their age to get outside and enjoy all of the wonders that nature has to offer. My first excursion was called The Alaskan Adventure, followed by the Cuban Connection and then the Hike Across Canada that I shot this summer. All I know is that I am never going to slow down, and heeding the call of nature is what drives and inspires me each and every day of my life. Christopher is an avid explorer, adventurer, and extreme endurance event/Adventure athlete. He has traveled all over the world, swam across the equator, and visited all but five states in the USA. His favorite events have been the 2014 Peak Death Race in Vermont and the Fuego y Agua Survival run in Nicaragua. His hobbies include hiking, camping, mountaineering and photography. Megan Posein can usually be found in the middle of nowhere with a camera in one hand and a fishing rod in the other. As a professional photographer with a passion for the outdoors, she is always planning her next big adventure and the next captivating photograph. Her mission is to help inspire people to go outside and make incredible adventures of their own. Megan's home is in Alberta, Canada and is close to some of the most stunning natural areas that are on so many tourist's bucket lists. This winter she plans to hike into areas that would be near impossible to access without snowshoes... and photograph everything along the way! Amelia lives with her husband and 5 kids (aged 1 – 10) in the shadow of the Tetons outside of Jackson, WY. While family life with lots of littles is chaotic, they find solace, peace and sanity best outside. As a family, they agree (for now) that winter is their favorite and spend as many days on possible on the snow. Amelia believes that adventures don’t necessarily need to be “epic” to count, but puts great value in getting out every day. She and her husband only hope that their kids continue to follow suit. You can find Amelia over on her blog, Tales of a Mountain Mama, where she writes about real-life as an outdoor parent along with tips and tricks and gear reviews. It’s not always “Instagram or Pinterest-worthy”, but it’s real life. She invites families to join their community where all can find support and encouragement and share some laughs. You can find the Mayer family on the trails in and around Jackson. 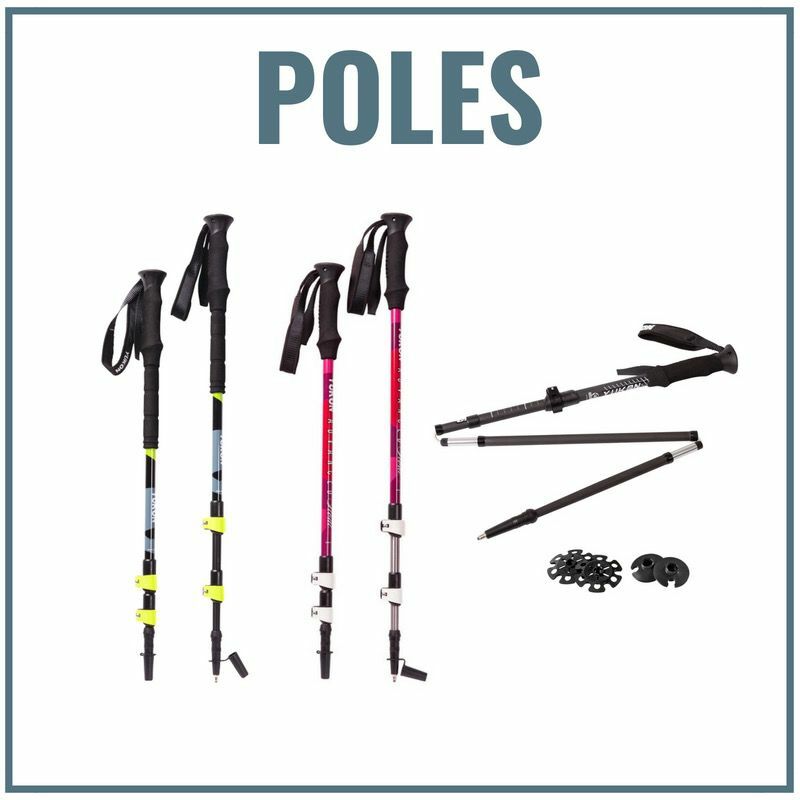 Besides snowshoeing, they love to ski (Nordic and downhill), camp, hike, backpack, raft, kayak, bike and explore. 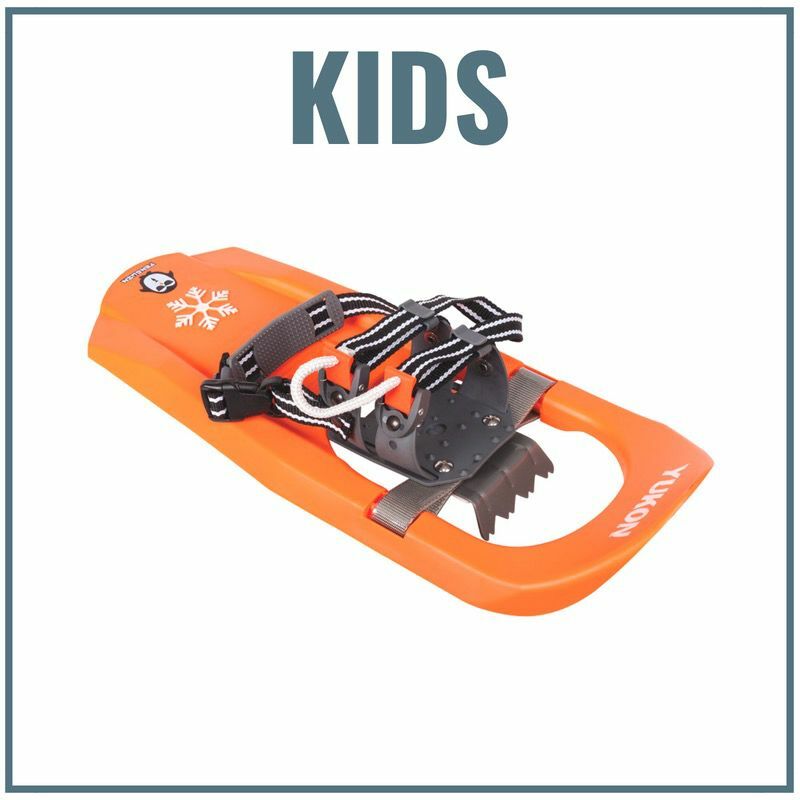 Join their community on the blog, Instagram (@mtnmamatales) and in The Gear Hut (a Facebook group where parents can get help navigating the crazy waters of gear for kids). Meng is the kind of person who will never be bored. There are too many things to try and people to meet. Standing in a meadow after a fresh snowfall still leaves him in wonder, and summiting peaks still causes him to shout with the air that’s left in his lungs. We have all heard that the journey is more important than the destination – the journey delivers the experience. While many try to find the easiest way up a peak, Meng often searches for the coolest way (within his ability) to climb the mountain. Winter brings many challenges, but it also opens a world of new journeys. Meng also believes that doing something with others and sharing an experience is so much more fulfilling than going alone. He believes that laughter and joy should paint the trails we walk on and that those are the memories worth holding on to. Not all memories can be captured on film because what film can’t capture is a full heart. As a photographer, Meng has had many friends show him the ins and outs of the art, and it is something he has come to really enjoy. However, if photography ever takes away from the experience or from the people, he leaves his camera in the bag. Here’s to a snowy winter! My name is Ryan. I am a 19 year old college student based in Maryland. I was raised in a family that valued time spent outdoors. Hence why I now find myself sleeping outside in a tent more than in my own bed most weekends. When I turned 18 I bought my first plane ticket and off to Europe I went. I also make an effort to travel every single break I get with my girlfriend Neva (aka my personal adventure model). This started a fire in me and now I can’t stop buying plane tickets. Can’t wait to share my adventures! As a Michigander, Nicky Brattina knows all about winter wonderlands. An avid explorer and lover of all things outdoors, Nicky and her husband have taken to sharing all of the beauty and fun that Michigan has to offer, no matter the season. When she’s not working her typical 9 - 5 you can find Nicky outside exploring the Northern Michigan forests, skiing at the powder covered snow hills, or enjoying a craft beer at any number of local breweries. Last winter was spent exploring the city streets of Toronto and the lobster filled bays of Portland Maine, and while the winds were bustling and snow falling there was no shortage of beautiful sights to be seen! No matter the budget, or the time allotted, there is always an opportunity to see the world! Even if that means staying in your own backyard. We’re the Armeanics: a family of three with a little babe on the way and our sweet adventure pup Willie! We live full time in our 21-foot travel trailer and are usually found off-grid somewhere in Colorado, Utah, or Idaho! Adventure is a huge priority in our life, we love hitting the trails for day trips, or backpacking trips! In the winter our adventures don’t stop they just get a little more fun you’ll find us snowshoeing, winter camping, or hitting the slopes for some snowboarding!! You can follow along on our adventures on Instagram @adventuresoffour. The Rasmussens are a Globetrotting Family of 6 Adventure Enthusiasts! They simply want to encourage other families to get out there and explore with their kids- across the globe and in their own backyard. On most weekends you can find them out in the mountains hiking and exploring different parts of Colorado with their four kids Liam (6), Eli (4), Finley (2) and Zeke (4 months). Hiking and being outdoors allows for them to slow down, explore and spend time as a family without any distractions. Danielle lives with her family of 3 in the mountains of Colorado, where they constantly adventure in the great outdoors together. They are a snow-loving family, including two sled dogs (Luna & Summit) and cannot wait to see what this winter season has in store for them. When not out enjoying deep powder, they can be found roaming in their family campervan, rafting down whitewater, or gathering friends for celebratory food & drink. Danielle is an avid storyteller, documenting their family's adventures through written word and photography over on her blog: www.tap-theadventureproject.com. Come follow along! Dustin and Vy are a married adventure/travel blogging team from Southern California. They began their journey together in 2012 and there hasn’t been a dull moment since! It may not snow a lot where they live, but that doesn’t mean that they don’t travel to be in it as much as possible. Besides spending time in the snow, they enjoy kayaking, photography, mountain biking and traveling as much as possible. They feel most alive when they are on the edge, whether that may be hiking Angel’s landing, bungee jumping or leaping out from a perfectly good airplane. They are always looking for the next big challenge! Adventure is not a hobby, it's their lifestyle. They live their lives to the fullest in the hopes of inspiring others to do the same!